Pure is a vitamin and mineral-rich Ascophyllum seaweed and garlic supplement providing a balanced blend of vital nutrients to support healthy hoof growth, top quality skin and coat condition and helps maintain all-round optimum health whilst supporting the immune system. Ascophyllum nodosum seaweed from the cold North Atlantic has been used for centuries as a natural source feed supplement, low in iodine and rich in vitamins, minerals and amino acids. It is composed of 48 elements, 16 amino acids and 11 vitamins. The macro algae is hand harvested in accordance with traditional and sustainable methods that have been used for centuries along the Atlantic coastline of Ireland. 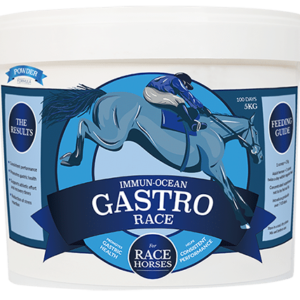 This naturally balanced mix of chelated minerals, vitamins, amino acids and antioxidants helps to promote a healthy immune system and gut environment and aids the overall well-being of the horse. 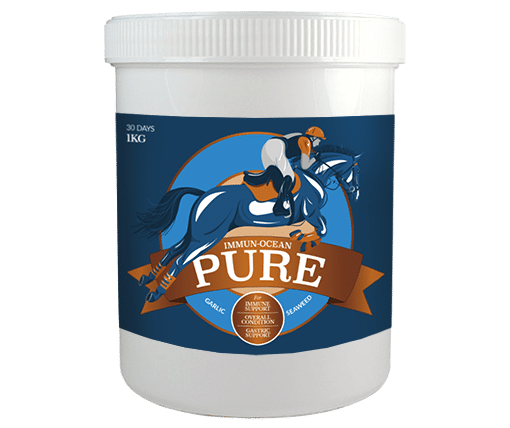 Pure is specially formulated for all horses. 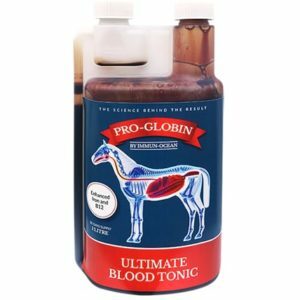 Powered by Irish goodness for naturally healthy horses. Pure is available in 1kg and 4kg tubs. It is available in powder form. Feed 15g twice a day and introduce gradually.